Dr. Shirin Akiner has long firsthand experience of Central Asia and has written and lectured widely on the region. In 2006 she was awarded the Sir Percy Sykes Memorial Medal by the Royal Society for Asian Affairs for her contribution to Asian studies. In 2008 awarded Honorary Fellowship of Anciens’ Association of NATO Defense College. In 2013, received the International Chingiz Aitmatov Award (for her “promotion as well as extensive contribution to the understanding of Central Asian countries and their cultures”). In 2010-2012, Special Advisor to UK Parliamentary Groups on Central Asian States. Has held research and teaching posts at the University of London, 1974-2008 (School of Oriental and African Studies, and University College); since 2008 - ongoing, Senior Fellow of the Cambridge Central Asia Forum, University of Cambridge, and Research Associate at the School of Oriental and African Studies, University of London. She has also held visiting professorships at Oberlin University (USA), Uppsala University (Sweden), Aleksanteri Institute, University of Helsinki (Finland), Kazakh National University (Almaty) and National University of Seoul (South Korea). From 1993-2015, she was a regular lecturer at NATO Defense College, Rome; also at Royal Defense College, London; has made oral and written submissions to UK House of Commons Select Committee on Defense, presentations on regional security to NATO Parliamentary Assembly and to the Euro-Atlantic Partnership Council Security Forum. Dr Akiner has authored seven monographs and numerous scholarly articles on such topics as Islam, ethnicity, political change and security challenges in Central Asia. Her work has been translated into 10 languages (including French, German, Spanish, Arabic, Persian, Turkish, Kazakh, Russian and Chinese etc.). 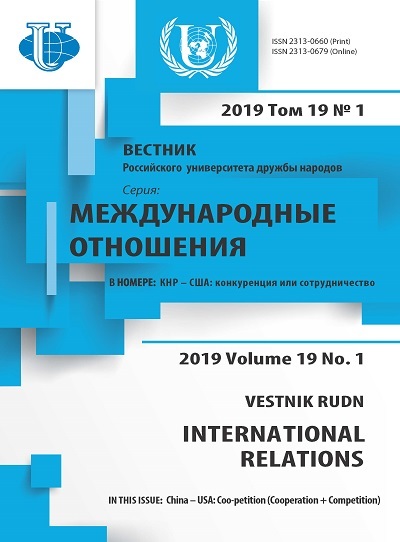 In her interview, Dr. Akiner talks about Central Asian and Islamic Studies in Europe, the prospects of chaotization and radicalization of Central Asian Region and points out an influence of China on the regional situation. Central Asia, Islamic Studies, Slavonic-Turkic convergence. - Dear Dr. Akiner Shirin, you are well-known in the world among the most authoritative scholar of Central Asian Region. Was your interest in the Central Asia and the decision to link your scientific activity with it a deliberate choice or coincidence of circumstances? - There are always many factors that shape our interests, and influence our decisions. In my case, the main factor was my university education: I studied Slavonic and Turkic philology at undergraduate level and then, for my doctoral research, I looked at the religious writings of the (Muslim) Belarusian Tatars. Most of these Tatars settled on what is now the territory of Belarus during the period 1400-1500 AD. Within a century or two the great majority had lost the knowledge of their original language(s) and spoke only Belarusian and/or Polish. However, they remained staunch Muslims and in order to pass on the faith to their descendants, a few learned individuals translated the Holy Quran (from Arabic) and various homiletic Islamic texts (mostly from Turkish) into a mixture of Belarusian and Polish. My study of the linguistic and cultural interactions between the Slavs and the Turkic peoples eventually led me to focus on Central Asia, where these different influences converge. - The Central Asian region is a crossroads of different civilizations. But where are the borders of the region? Should it be attributed to only 5 countries that were formerly part of the USSR? And can we add XUAR of PRC and Mongolia to the region? Maybe Iran and Afghanistan? - Definitions are working tools: the boundaries of a given region will be set by the purpose of the study. For example, definitions of Europe (let alone other parts of the world) keep shifting, depending on the historical period, and a multitude of fluctuating cultural-economic-political factors, including religion, ideology, language, culture, trade and transport connectivity. For me personally, my study of “Central Asia” focuses on the five former Soviet republics of Kazakhstan, Kyrgyzstan, Tajikistan, Turkmenistan and Uzbekistan; however, I do of course follow developments in the surrounding region to the extent that they impact on the five states that I have mentioned. - How do you assess the state of the study of the Central Asian region in the world at the present stage? Is it a part of Post-Soviet studies or Islamic Studies? 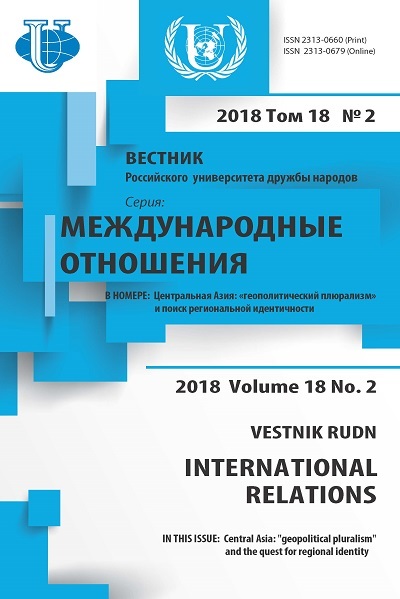 - Research on “Central Asia” (however it is defined) may be included in postSoviet studies and Islamic studies, as well as Anthropology, Development Studies and many other academic fields. There is no rigid, generally agreed disciplinary division. - What research centers, publications on Central Asian issues occupy the leading positions in the world today? What has changed in the study of Central Asia in the post-Soviet period? - There are a number of excellent researchers on Central Asian topics in Europe, Asia and the United States. Personally, I would not single out any one center as being better than the others - they all have their strengths and weaknesses and in general, much depends on the activities of particular individuals. - In your opinion, how popular are Islamic studies in UK and other European countries? What are the main centers of Islamic studies you can name and which areas of research are of greatest interest to them? How much in Europe is known the Islamic studies conducted in Russia? - Islamic studies (and studies of specific Islamic states) are quite popular in Europe, but in my opinion there are no outstanding centers. - Can the Central Asian region be called a separate subsystem of international relations? Which of the global actors, in your opinion, leads the race for leadership in this region? - Depending on the system of classification that one uses, the Central Asian region could be called a “subsystem of international relations” but I do not see much value in this - each of these states has its own specificities. I also do not think it appropriate to speak of a “race for leadership” - rather, the Central Asian states have shown themselves adept at balancing global powers and thereby extracting maximum benefit from these external forces. - The growth of the importance and influence of the “Islamic factor” in world politics has been observed for a long time. In your opinion, in the short term, what is the probability of chaotization and radicalization of the Central Asia? Will there be an increase in the popularity of radical Islamist organizations among the population of the region? - It is useless to predict the future - previous studies that have tried to do this always seem sadly naïve in retrospect. As of now, I myself do not expect there to be a descent into chaos and radicalization in Central Asia, but this is not a prediction, just a sense of where we stand today. - How do you see the future of Central Asian world research? And what research problems are you personally interested in at the moment? What articles and books of Akiner Shirin we should wait for in the near future? - For me, the most important issue is that of connectivity which, for the foreseeable future, will be largely, though not exclusively, shaped by China’s “Belt Road Initiative”. My forthcoming book will be on that topic.